Get a fast – and very funny – introduction to understanding the attitudes and idiosyncrasies of Parisians, their mannerisms and the habits that have given them their reputation at home and abroad. In How to become Parisian in One Hour, Olivier Giraud offers some key insights into Parisian behaviour. You’ll learn everything you need to know to survive in the Parisian jungle. 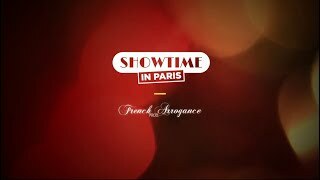 And, by the end of the show, you’ll know how to act like a real Parisian in every situation, from taking a taxi to eating in a restaurant. 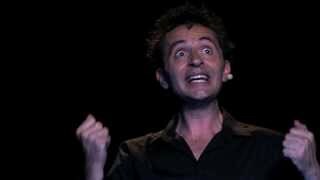 Already approved by more than 500,000 spectators, this hilarious one-man show is 100% in English and accessible to everyone over 16 years of age. The fact that the show is entirely in English, does not make it an issue at all ; it allows foreigners to come, and that’s great! The jokes are clearly designed to concern both provinciaux and visitors from other countries. The comedian is great. He interacts quite a lot with the public, puts all his energy on his presence on stage, make his point very clear and we love it. The show is one hour, and we laughed almost all the time. No need to hesitate: go!